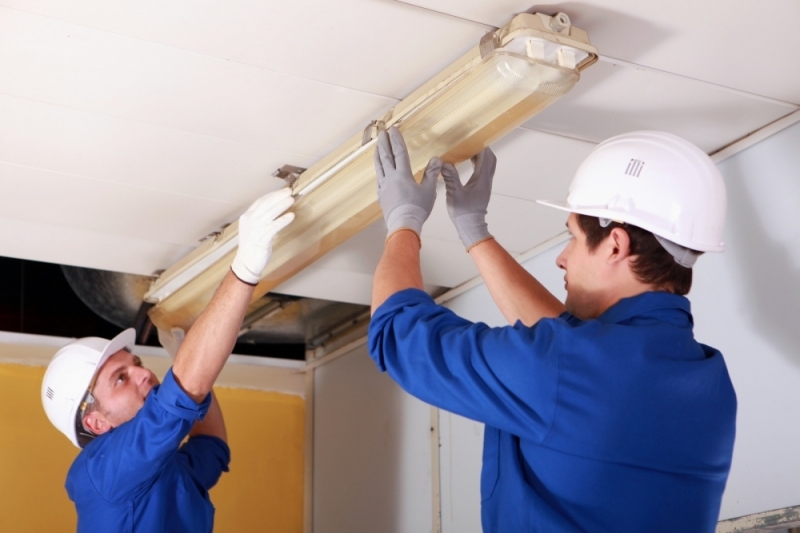 Why You Should Consider Professional Light Fixture Cleaning? | Courtesy Building Services Inc.
Why You Should Consider Professional Light Fixture Cleaning? If your office’s interior has been unwelcoming and looking dim lately, you might like to take a look up. Light fixtures can be a collection of dirt, dust, and some particles floating in your indoor air. Simple dusting can get rid of most of those particles, yet there would always be left over stains from grime and dirt. Depending on the size and place of your light fixtures, the best choice is to talk with a professional that knows the ways to take care of that kind of task. Below are some of the reasons why light fixtures must be cleaned: A Human’s Dirt Will be Another Critter’s Home If the dust is left on light fixtures, they won’t be pleasant additions to your house. But rather, they will be a home to moths, spiders, and some bugs that like untouched and dirty places. Cobwebs are never an attractive feature. That is the reason why it’s wise to take time to clean it up. 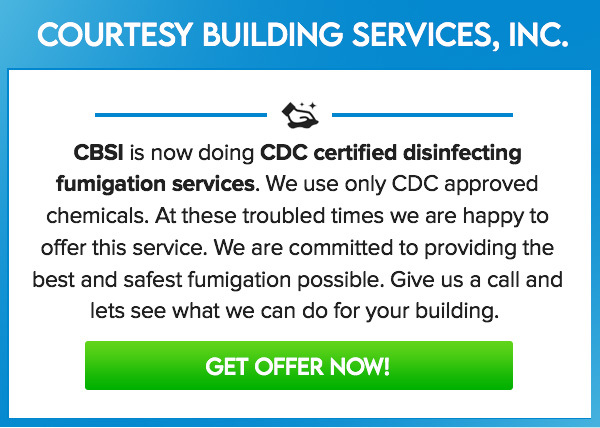 So, ask professionals like Courtesy Building Services to handle the job for you. These professionals use special products that can prevent buildup of dust from happening quickly. Dust Can Affect One’s Health Negatively Dust is basically a horde of various kinds of materials. It includes pollen, dirt, hairs, dead skin cells, fibers from clothing, and some outdoor or indoor microbes. When all of those dirt particles collect in one place, which happens to be hovering on your head daily, the dust will fall on you eventually or collect in some places. When furniture gets dirty, you can take time to clean it off. The same must be done with the light fixtures. Dust must not take reign in your office or in indoor air supply. The cleaner your home, the cleaner the air and the healthier you will be. Let Your Light Fixtures Shine for Your Safety and Security A decrease or an increase in light may go a long way for one’s vision. Your commercial building requires bright lighting. Businesses should make sure that their lighting is clear for professional and security reasons. It’s the primary reason light fixtures must be taken care of, which is your safety. It isn’t a good thing to stumble in the dark. Ensuring that your light fixtures are clean will boost your safety and the functionality of your area. Let Your Light Fixtures Provide Good Lighting Dirty light fixtures can make your home dim lit. Once dead bugs and dust cover the light fixtures, their ability to shine reduces by thirty percent. If you will take money and time to have beautiful fixture installed, you must not leave it neglected. But, if you have a high ceiling, it might be dangerous to clean and try them yourself. Professional light fixture cleaning service would ensure that your light fixtures will sparkle the way they should be. The best thing about professionals is that they use quality tools and have expertise in the process of cleaning light fixtures. Contact Courtesy Building Services for Professional Light Fixture Cleaning If you require light fixture cleaning and you need professional assistance, never hesitate to call Courtesy Building Services, Inc. It offers a wide range of office and commercial cleaning services. Want a Cleaner Work space? Do These Simple Things!